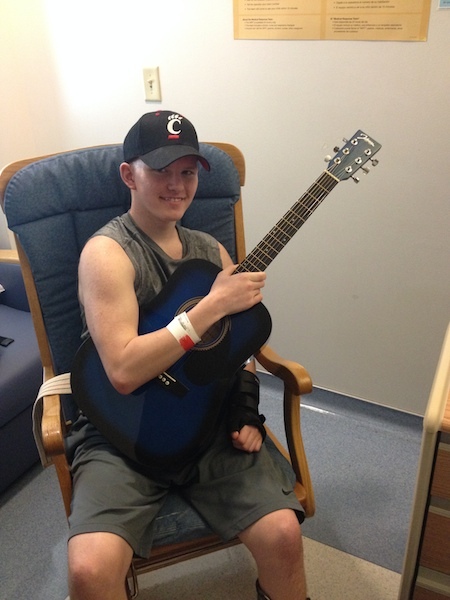 Chinn Guitar Project sent a guitar to a special child in New York, New York at the request of a music therapist. Prayers and good vibes! 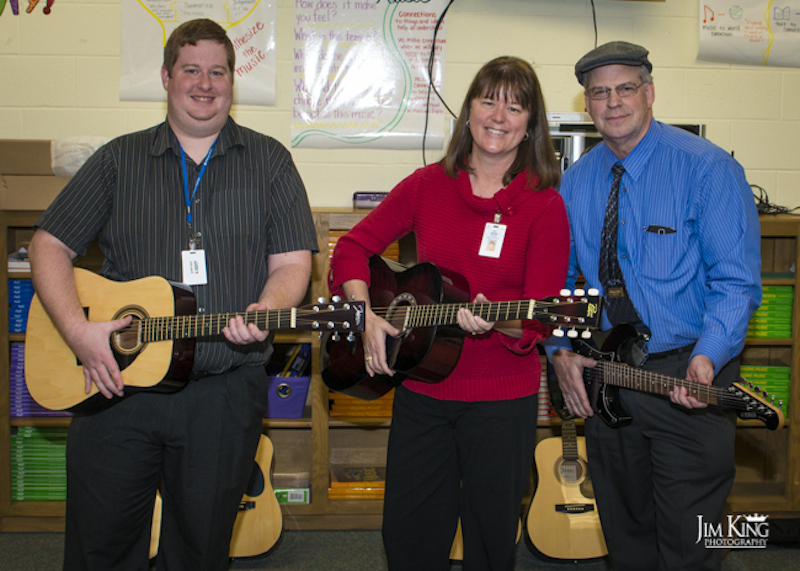 Chinn Guitar Project sent 3 guitars to the Elementary School Music Program in Kyle, Texas. Chinn Guitar Project sent 4 guitars to Dell Children's Hospital in Austin, Texas. Della Daugherty runs a great music therapy program for the kids. Chinn Guitar Project sent 3 guitars to American Family Children's Hospital in Madison, Wisconsin. Samantha Sinai does a great job with the music therapy program. We sent another 3 guitars to Belshaw Elementary School in Antioch, California. Brian Barnes is doing a great job with his music students. We sent 3 guitars to the Realm of Caring in Colorado Springs. 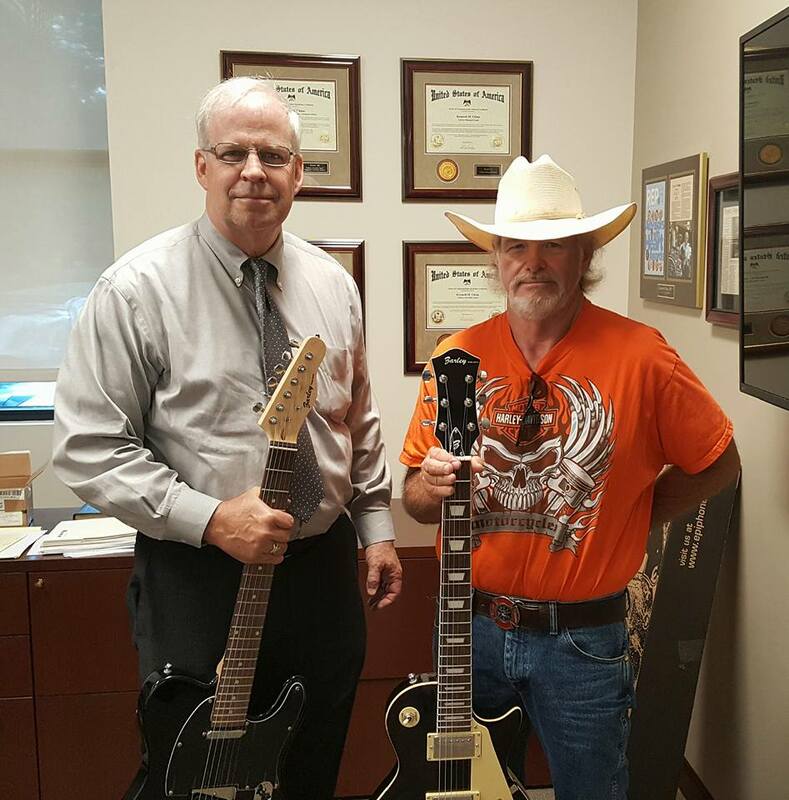 We sent another 3 guitars to Kerrville State Hospital. Ali Etter is doing a tremendous job with her patients. 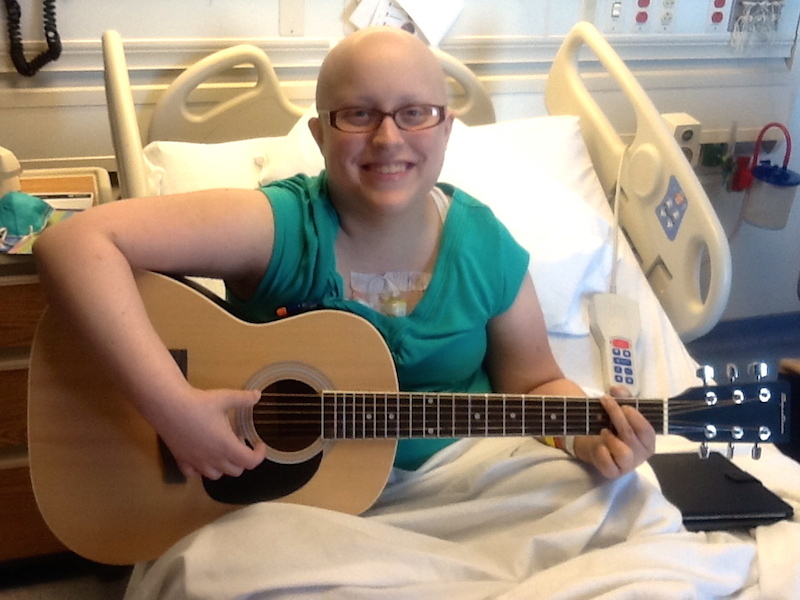 We're sending Jackie 4 guitars to help with her music therapy program at Shriner's Hospitals for Children. Sending 2 more guitars to the Angola Prison System in Louisiana. Clay Perkins does a great job with the prisoners! We sent 6 guitars to the Peyton Manning Children's Hospital in Indianapolis, Indiana. Jenny Kaufman and her team of music therapists are doing a great job with the patients under their care. We sent another 4 guitars to the Belshaw School in Antioch, California. Brian Barnes is doing a great job with the students! We sent another 5 guitars to the Vera Lloyd Presbyterian Children's Home in Monticello, Arkansas. We sent 3 guitars to American Family Children's Hospital in Madison, Wisconsin. 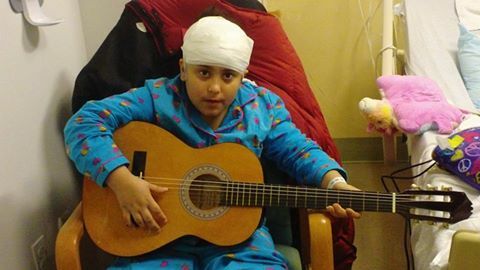 Samantha Sinai is starting a great music therapy program at the hospital. Ali Etter and her support team at Kerrville State Hospital do an incredible job ministering the healing power of music to their patients. 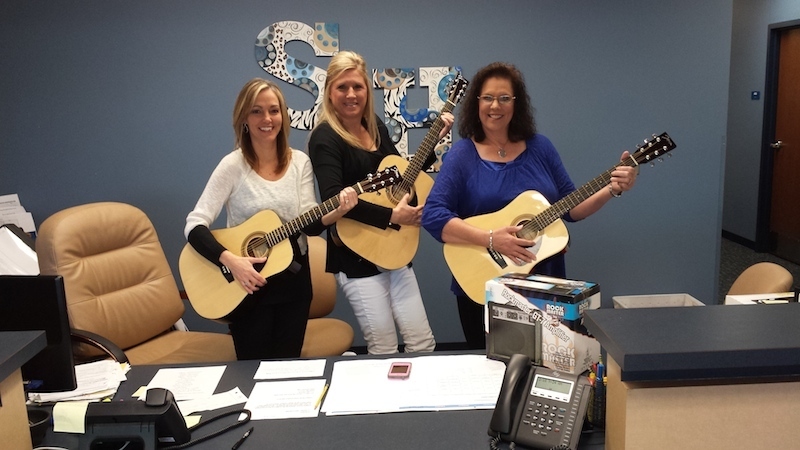 We sent them 4 guitars to help out their awesome music therapy program. 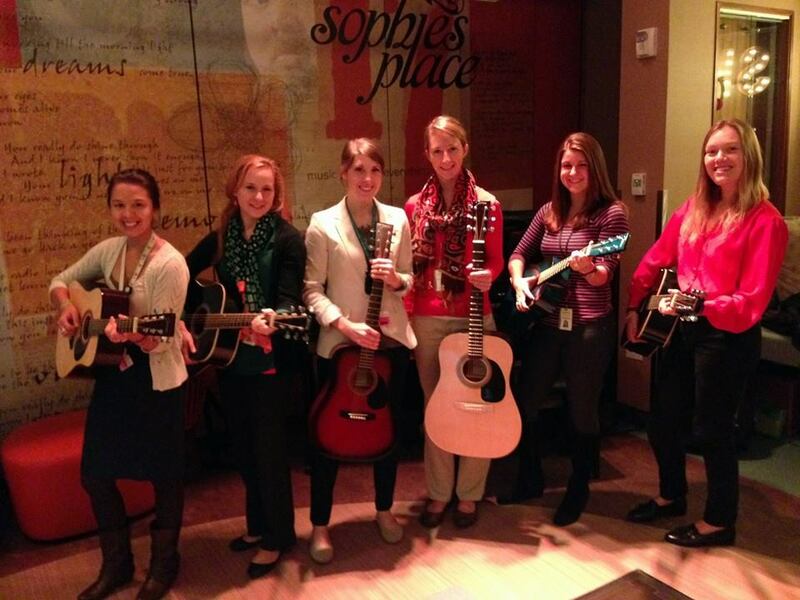 We sent 6 guitars to Sophie's Place in Phoenix, Arizona. They have a great music therapy program for hospitalized children! Sent 4 guitars to Kerrville State Hospital.Alison Etter does outstanding music therapy work with her patients! We sent 4 guitars to Pilgrim Psychiatric Center in Brentwood, New York. David Schneider and his team of music therapist are ministering to a lot of people who need help. We sent 3 guitars to the Arkansas Children's Hospital in Little Rock. Andrew Ghrayeb and his team do a great job ministering to the children! 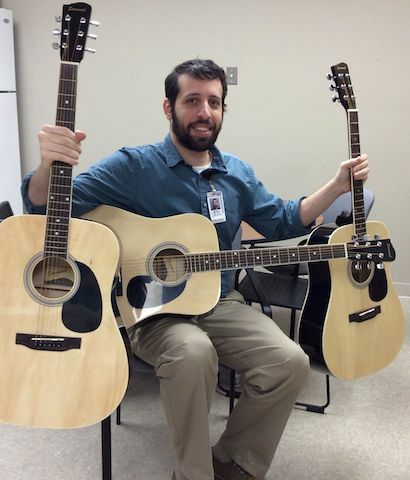 We sent 4 guitars to the Menorah Center for Nursing and Rehabilitation in Brooklyn, New York. Kendra Ray and her staff do a great job with the patients! Glad we were able to help out this young man who's having a rough go at the time. 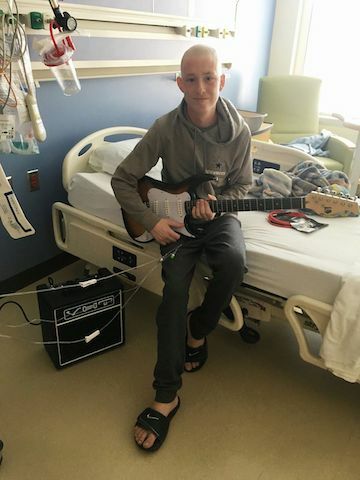 We gave him an electric guitar and amp and it brightened his day. Prayers appreciated! 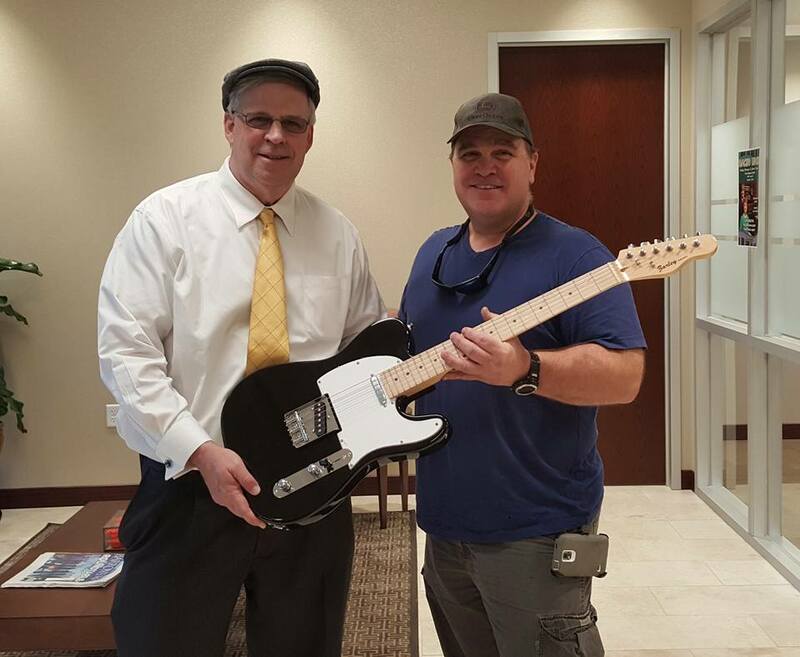 Special request for an electric guitar and amp from our good friends at Children's Medical Center in Dallas, Texas. Young teenager having a bit of a rough go with cancer treatments. Glad we can fulfill their need ! We sent 4 guitars to the True Worth Place in Ft. Worth, Texas. Susan Delong and her team do a great job with the less fortunate among us. Happy to be able to help out! 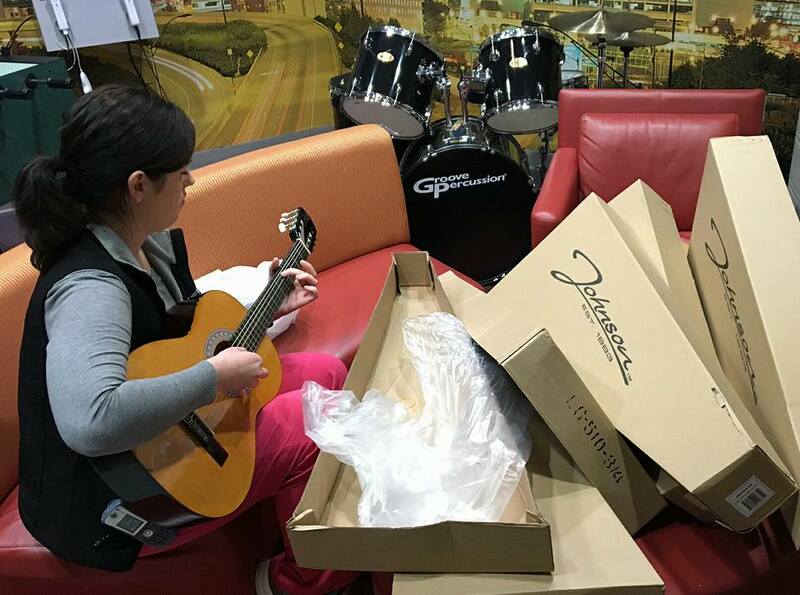 We sent 4 guitars to the Menorah Center for Nursing and Rehabilitation in Brooklyn, New York. 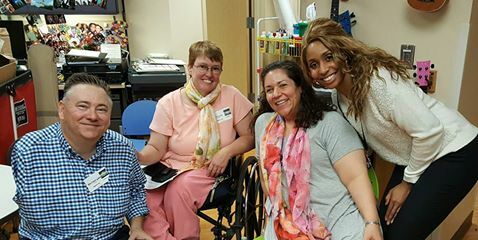 Sandra Ray and her staff of music therapist are doing a great job ministering to hospice and nursing home patients using music therapy. 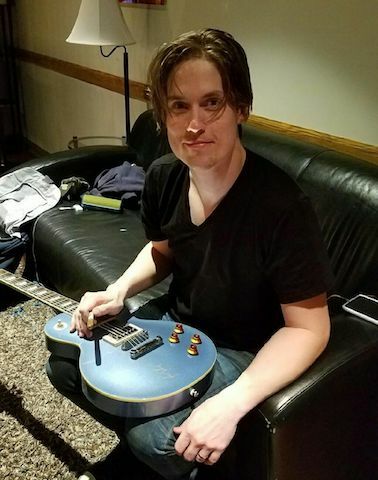 Thanks to Jonny Lang for signing a guitar for us. His management team were great to work with to make it happen. Love it when everyone is on the same page. 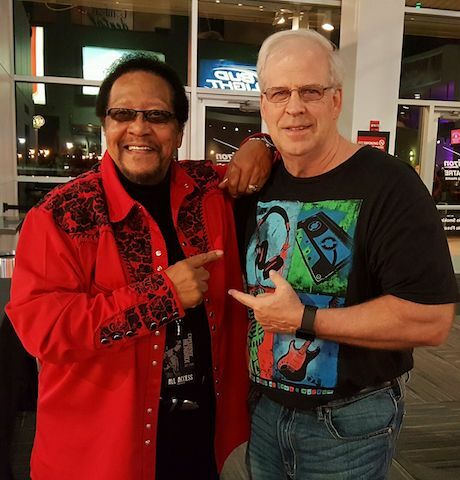 Billy Cox- Bassist for Jimi Hendrix. Glenn Scott Norwood generously donated this guitar to the Chinn Guitar Project and it has found a home at the Lakota Guitar Camp. David Attebery runs a great music program! We donated another 2 guitars to the House of Disciples in Longview, Texas. They do a great job helping men who are struggling with addictions. Here are some happy Belshaw students with their new guitars thanks to the generous donation by the Chinn Guitar Project :)! We just sent 6 guitars to the Children's Hospital of New Orleans. Kimberly Bell and her staff of music therapist are ministering to a lot of hurting folks. Glad to help out such an awesome organization! 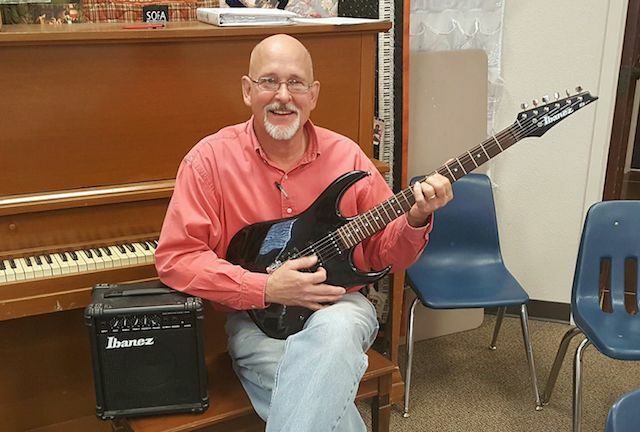 Glenn Ballard of the Brook Hill School in Bullard, Texas received another guitar and amp today for the growing class. 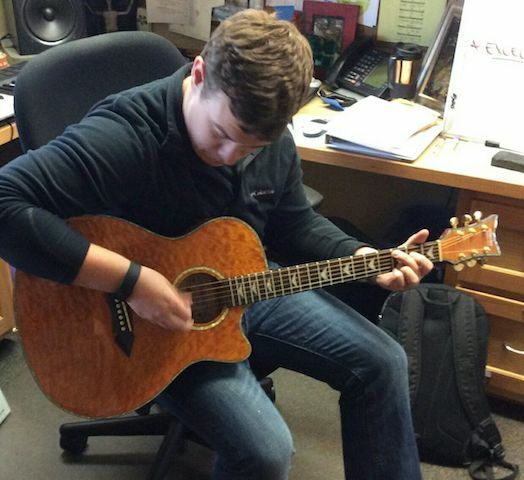 We donated 14 guitars and amps when school started and the class is becoming one of the most popular on campus. Thanks to Timothy Thomas for the guitar. Brian Barnes and some of his guitar class at Belshaw Elementary School in Antioch, California getting ready to ROCK! So glad we could help out with 4 guitars. 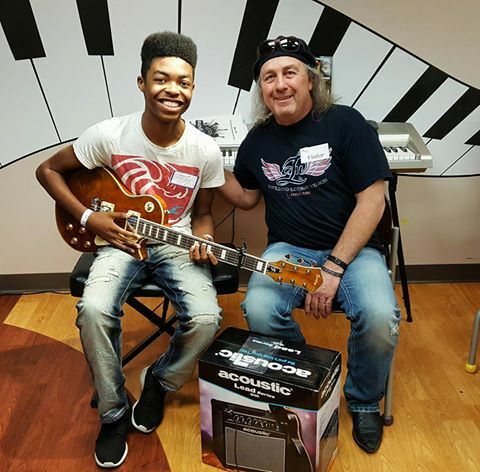 We sent 4 guitars to the Mr. Holland's Opus Foundation in Studio City, California. They do a great job keeping music education alive in the public school system across the nation! Allyson Sosa with the Cincinnati Center for Autism is heading out on her rounds to minister and encourage those in her care. Happy to be able to send them 6 guitars to grow their program. Had the pleasure of sharing about the Chinn Guitar Project with the Letourneau University Classical Guitar Class in Longview, Texas. Ben Shepherd does an excellent job with the students! We also donated 2 more guitars to the class. 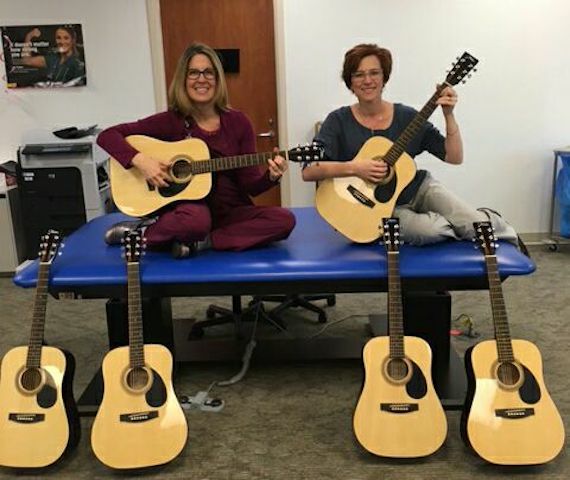 2 outstanding music therapist, Jennifer Townsend and Virginia Gray, at Houston Methodist Hospital with the 6 guitars we just sent them. We're proud to support the great work that they do for their patients! 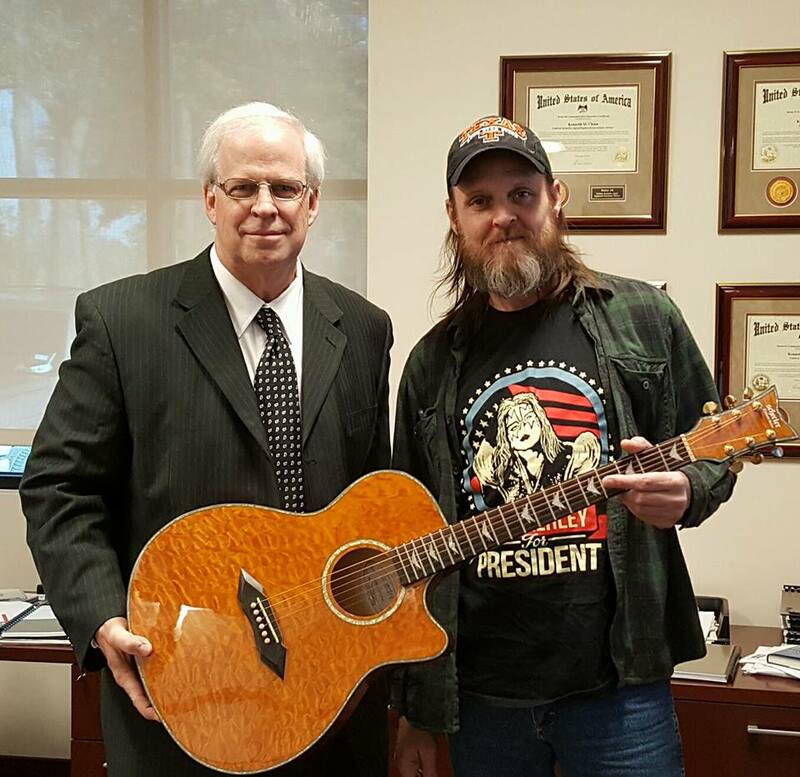 David Attebery received the 6 guitars we sent him for the Lakota Guitar Camp. David does great work with people struggling with addictions using music therapy. 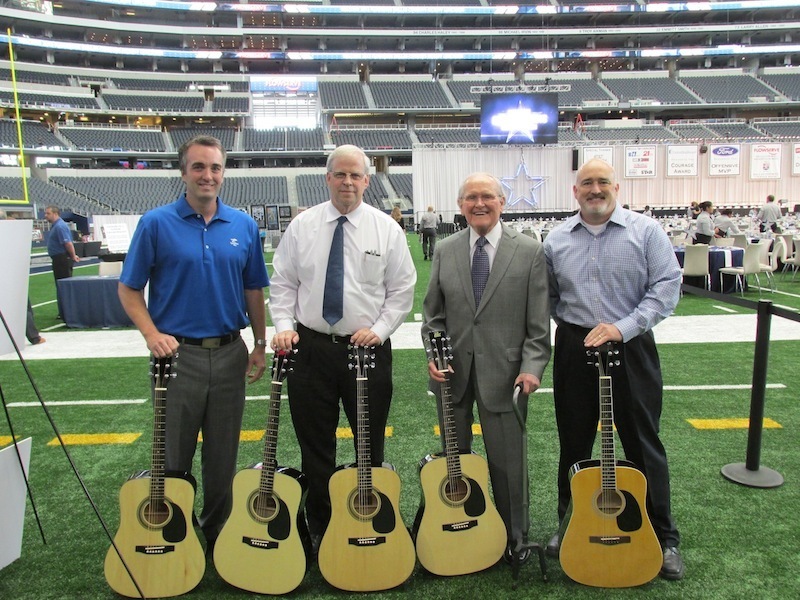 We donated 4 guitars to the Kilgore College BSM. Thanks to Tim Thomas for helping make this happen. 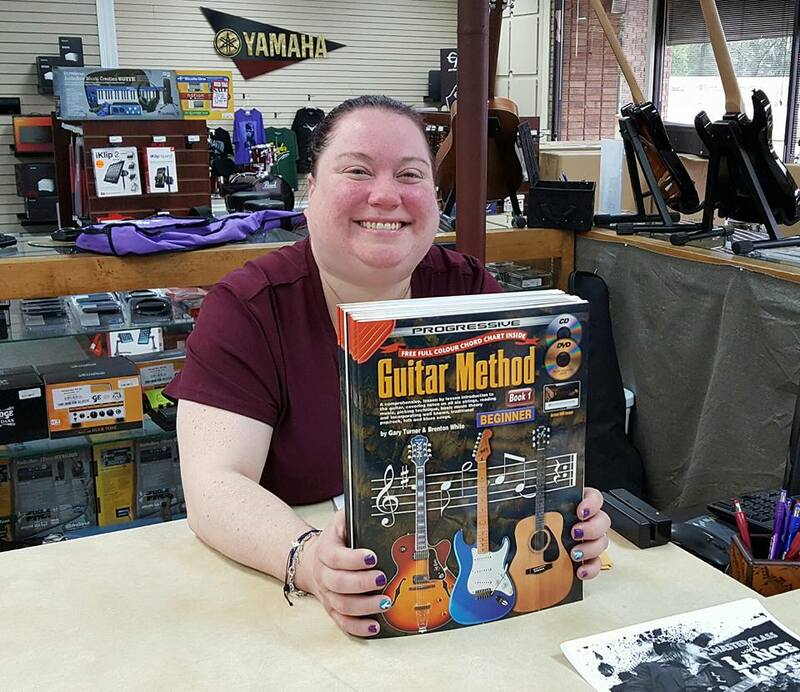 Meredith Hamlin of Kyser also donated 4 capos and Neal Laney donated 4 guitar books. We sent 6 guitars to the Cincinnati Center for Autism. Kate Legge and her team of music therapist are ministering angels to their patients. 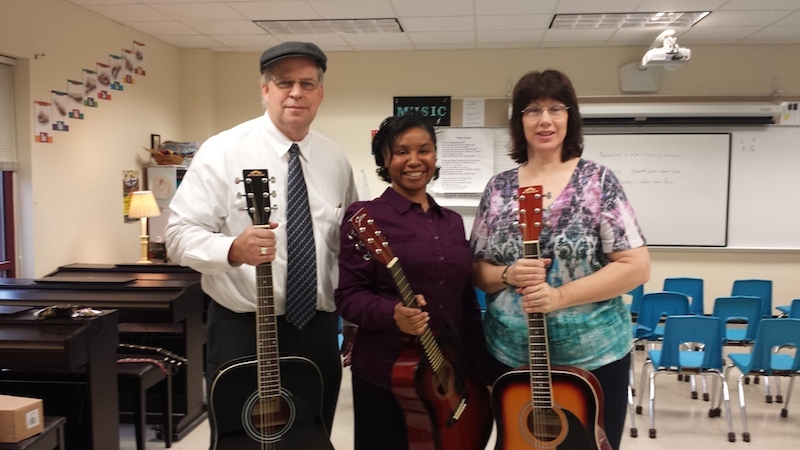 We donated 2 more classical guitars to Letourneau University in Longview, Texas. The class continues to grow under the leadership of Ben Shepherd. We're happy to support our friend and his efforts at Letourneau! 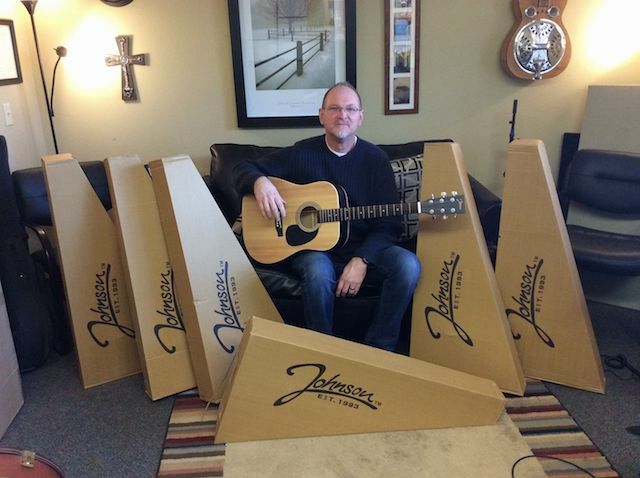 Sent another 6 guitars to Jennifer Townsend in Houston, Texas. Jennifer does a tremendous job with the sick. She's one talented musical therapist! We just sent 6 guitars to Lakota Guitar Camp in Rogers, Arkansas. David Attebery runs a great program. Glenn Norwood has been a great supporter of the Chinn Guitar Project from the beginning and today donated a beautiful Schecter guitar . This is going to make someone very happy! Thanks, my friend !! We donated another 3 guitars to the House of Disciples in Longview, Texas. 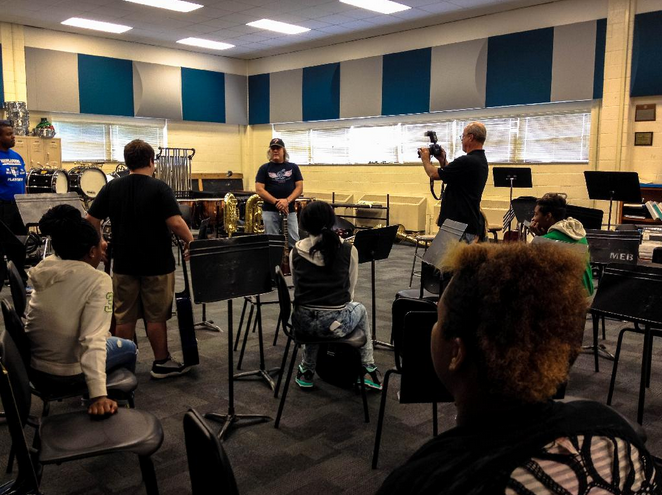 Kyser also donated 6 capos to their program. Joe Bonamassa heads up the Keeping the Blues Alive Foundation and we have supported them throughout 2016. They help provide schools with guitars and other musical instruments. Great night with Steve Vai at the Bomb Factory in Dallas, Texas. Very caring individual who heads up the Make a Noise Foundation. Great concert! Brianna and Matt of Benioff Children's Hospital in San Francisco . 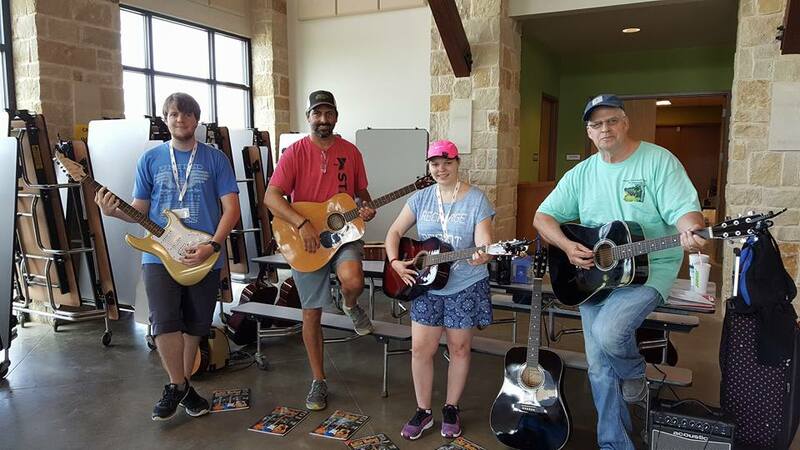 We recently sent them 6 guitars to help out their musical therapy program. We sent 3 guitars to Miller's Children's Hospital in Long Beach, California. 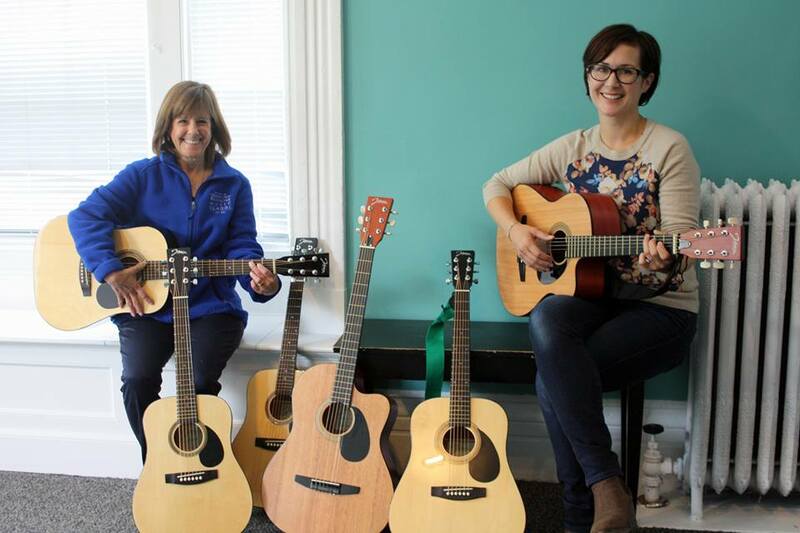 Laurel Terreri heads up their musical therapy program. Sent 6 guitars to our good friend Mac Bellingrath in Pine Bluff, Arkansas. Mac teaches the Boys and Girls Club in Pine Bluff. We sent 6 guitars to New Horizons Center in Far Rockaway, New York. 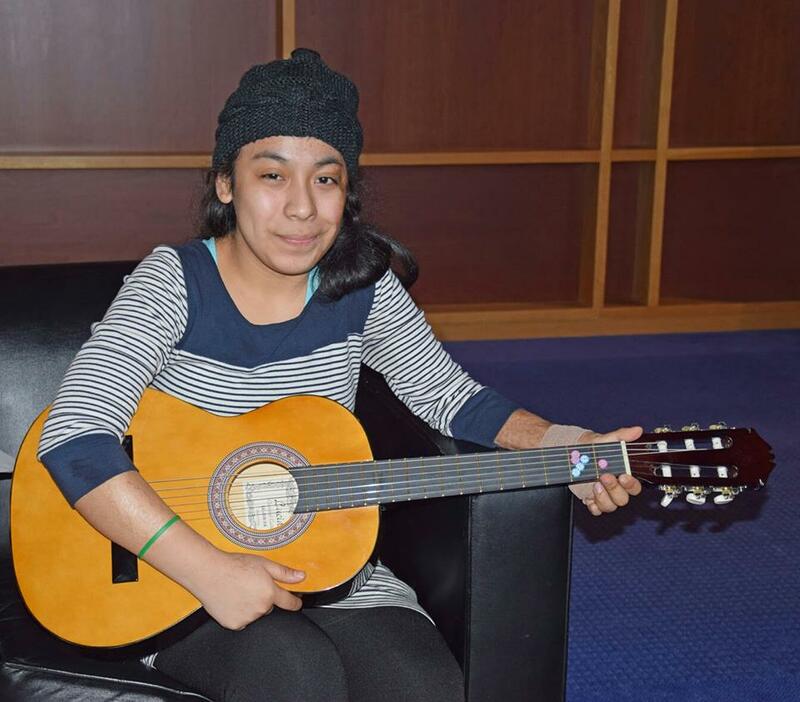 Nicole Sanabria runs a great music therapy program. Just sent 6 guitars to MD Anderson Hospital. Tony Milland runs a great music therapy program . We donated 6 guitars and amps to the James Burton Foundation today. Great group of individuals who are making a difference in the lives of many children. Adrienne Flight and Betsy of the Brookline Music School in Massachusetts. They're doing a great job with all the children they touch through music therapy. 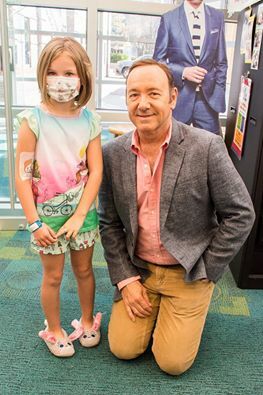 Bringing smiles and healing to the patients at Children's Healthcare of Atlanta. Sent 6 guitars to the American Musical Therapy Association for their upcoming conference in Ohio. Around 2000 music therapists will be attending. Carol Olszewski is heading up the guitar drive. 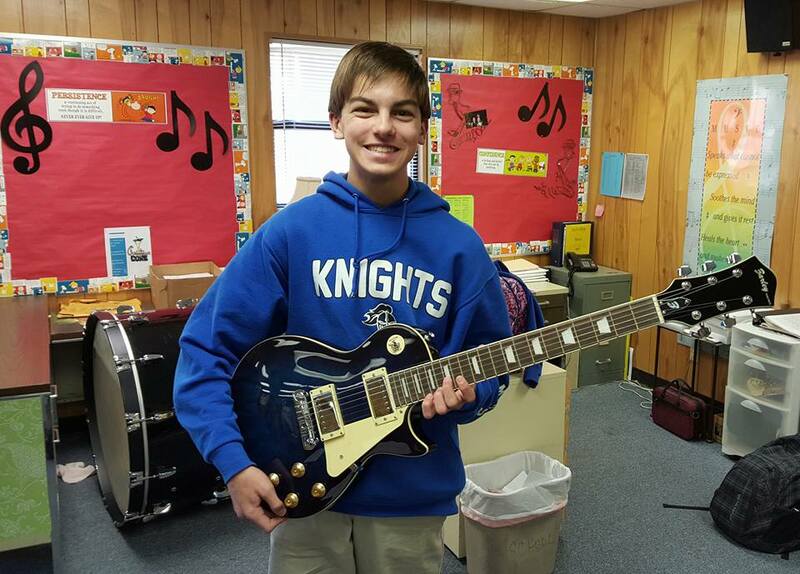 Sent the Brook Hill School in Bullard, Texas another guitar with an amp. We also sent 8 pedals. That makes 11 guitars and amps since they started their new guitar class this year. Just sent 6 guitars to Brookline Music School in Brookline, Massachusetts. Adrienne Flight heads up a great music ministry. Great organization!! Proud to be able to help them out. Just sent 10 guitars to Children's Healthcare of Atlanta,Georgia. Beth Collier leads a wonderful group of music therapists. Last time we went to visit them Fox News came out and did a piece on us. We donated 5 classical guitars with cases to Letourneau University in Longview, Texas. Ben Shepherd is an amazingly talented player who teaches the students at Letourneau. Meredith Hamlin of Kyser Capos also donated a box of capos. We also donated tuners and pics for the class. We donated 5 guitars,capos,tuners and stands to the James Burton Foundation in Louisiana. They do much needed work with schools and music programs. Sent 6 guitars to Midori and Friends in New York, New York. Lauren Noble and her staff are doing some great things with the children. Sent 6 guitars to the Music Therapy Department at Imagine Academy in Brooklyn, New York. Matthew Brady is doing great work with the children. 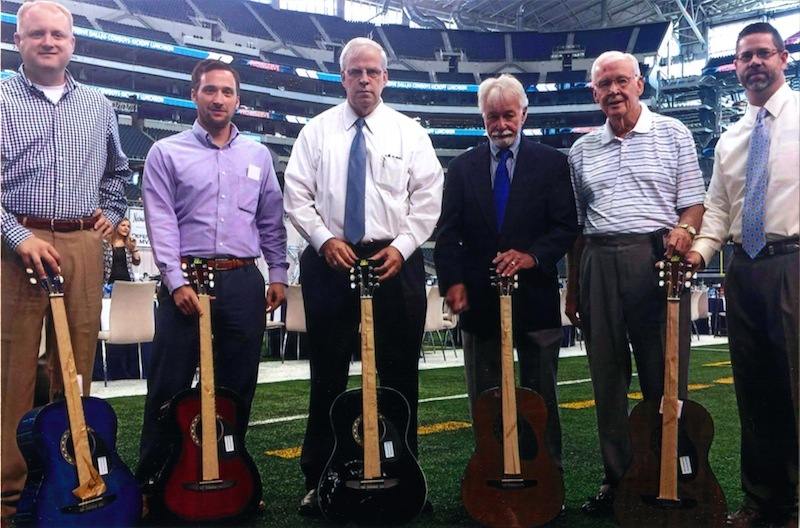 Presenting 4 more guitars to the Happy Hill Academy during the Dallas Cowboys Kickoff Luncheon! Brook Hill School in Bullard, Texas is going to be rocking! 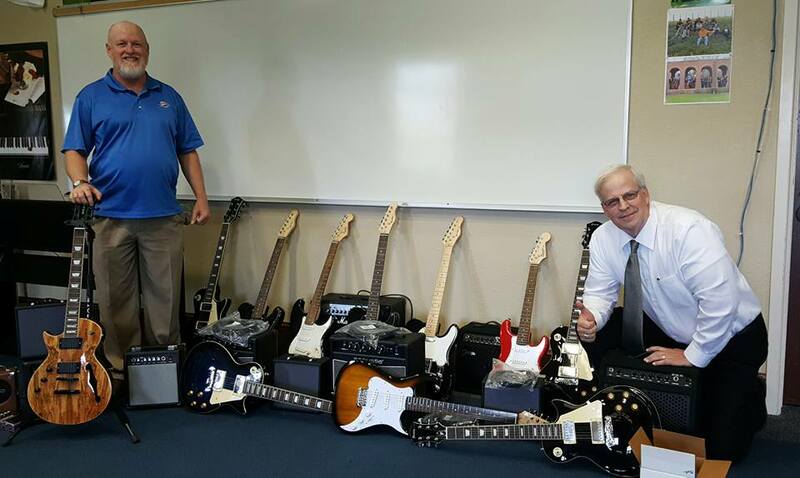 We donated 12 electric guitars with amps to their new electric guitar class. Kyser also donated capos, strings and tuners. Fun day with the staff at Brook Hill! St. Joseph's Pediatrics Hospital in Marshfield, Wisconsin. Sent 6 guitars to St. Joseph's Pediatrics Hospital in Marshfield, Wisconsin. 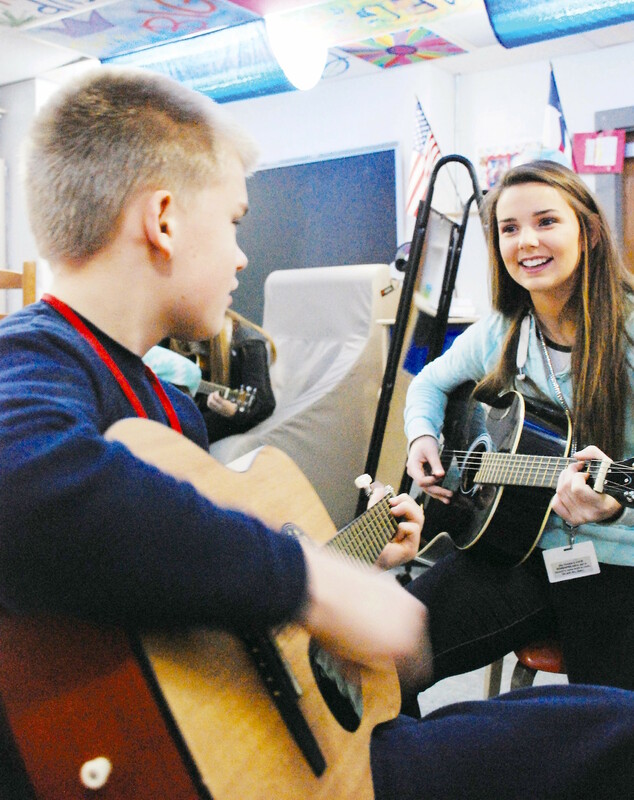 Bethany Riedel runs an awesome music therapy program with the children. 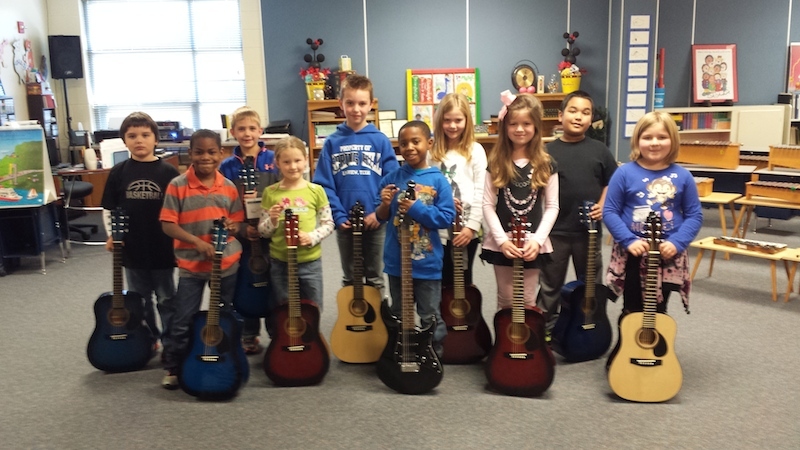 Sent 15 guitars to Smith Elementary School in Duncanville,Texas. 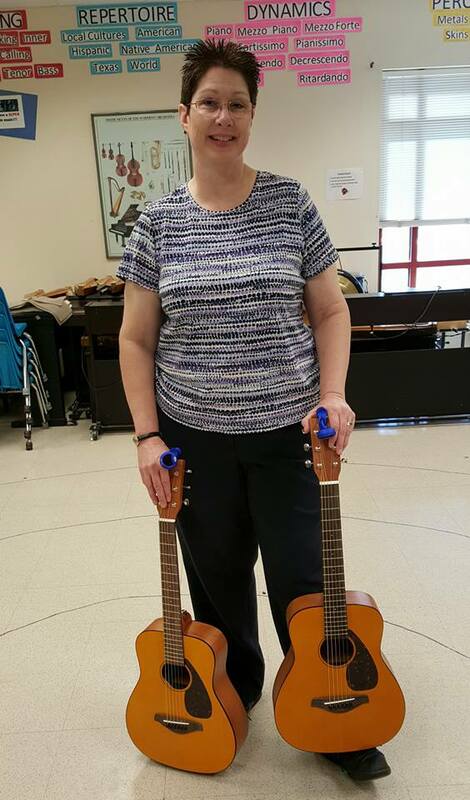 Principal, Vickie Fowler Echols , always the artistic innovator, will be having her school start guitar classes for the young students this fall. Sent 6 guitars to Valley Children's Hospital in Madera, California. Trysha Lucero heads up a great music therapy program. CGP donated 2 electric guitars with amps to Brothers Keepers. They're going to auction them off to help send children who are burn victims to" Burn Camp". Also gave them an autographed CD by Eric Gales for their silent auction. Texas Epilepsy Foundation Camps is going to have a great week. We were able to donate 10 guitars, Kyser capos, instructional books, tuners, and stands. They've got several advanced players who are pumped about teaching the campers! We just sent 6 guitars to Texas Children's Hospital in Houston. Amy Smith and her team do a great job with the music therapy program. 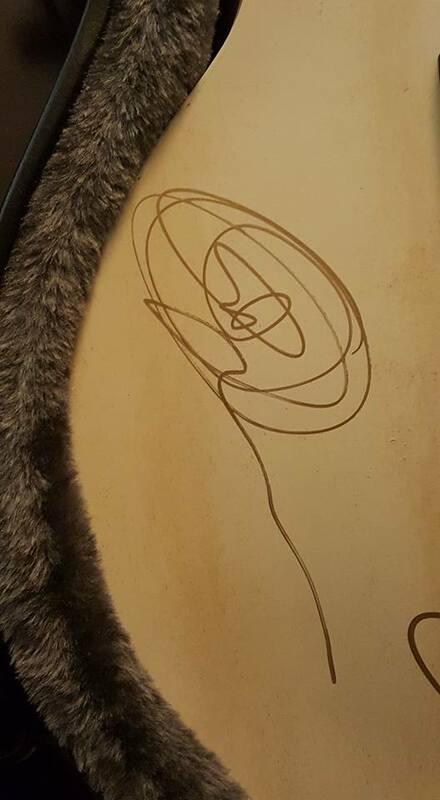 Thanks for the picture Mac . Mac teaches the kids at the Boys and Girls Club in Pine Bluff, Arkansas. 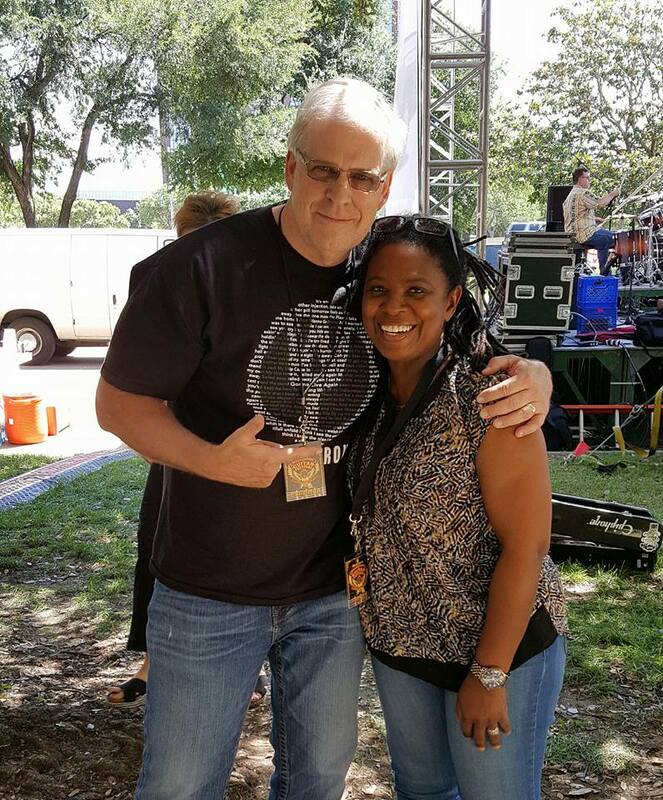 Ruthie Foster about to take the stage at the Dallas International Guitar Festival! Grace Potter was off the chain at the House of Blues in Dallas. She was kind enough to autograph 2 guitars for the . Rocking in the Children's Medical Center Music Therapy Room! 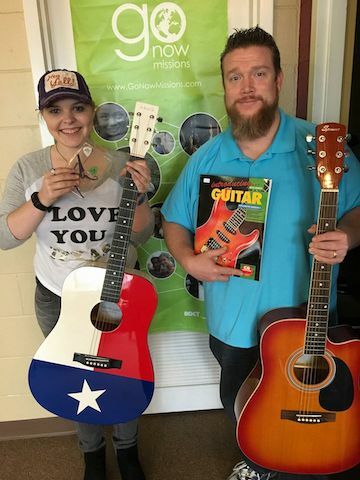 Thanks to Mundt Music in Longview, Texas for donating 12 guitar instructional books to Children's Medical Center Music Therapy Program in Dallas. Chance Harris, director of the Seacrest Studio's, with Jireh. 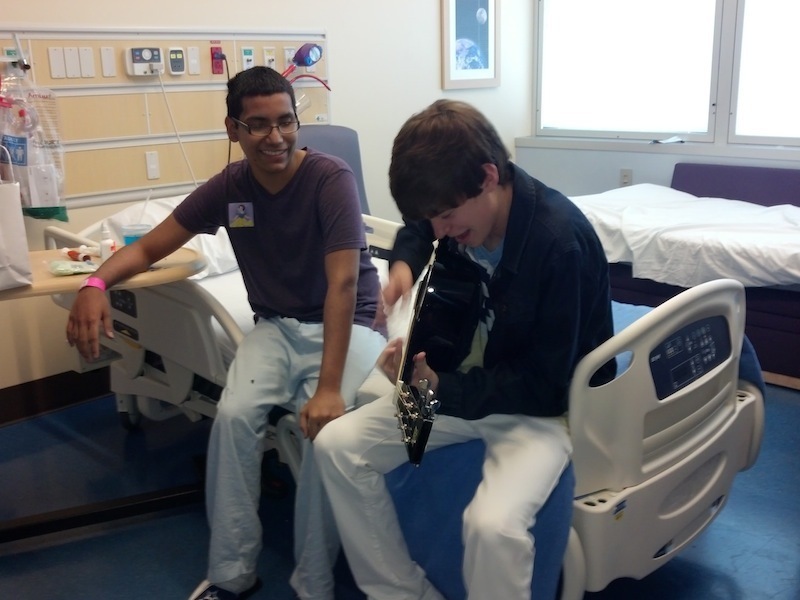 Donnie Pendleton and guitar recepient Jireh at Children's Medical Center in Dallas. One armed guitar phenom Michael Cooper performing at the Seacrest Studio today. 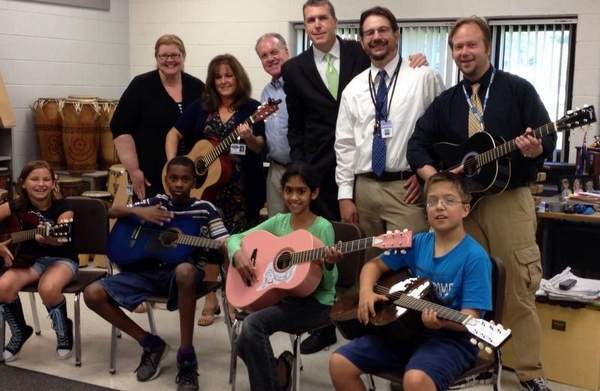 We donated 14 guitars to the music therapy program. Shriners Children's Hospital in Boston, Massachusetts. Thanks for sharing Annette Whitehead-Pleaux! Great music therapy program that's helping many children get through difficult times. 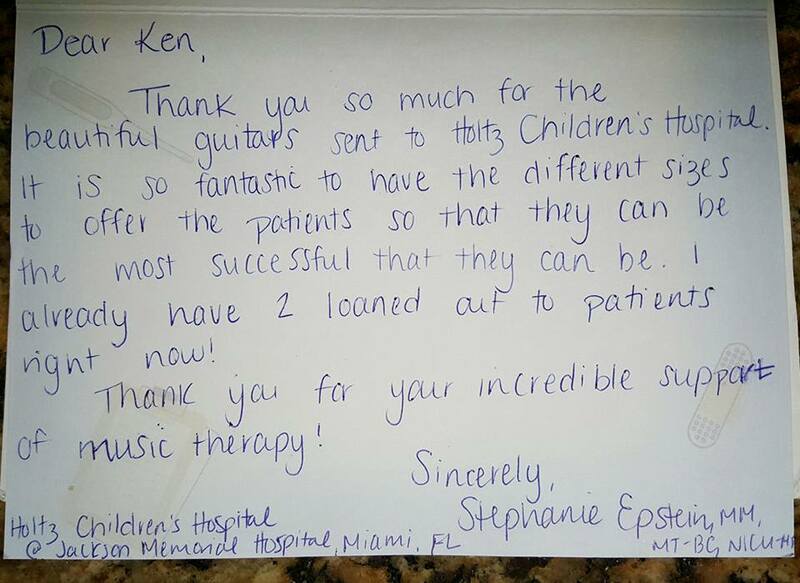 Very thoughtful card from Stephanie Epstein of Holtz Children's Hospital in Miami, Florida. 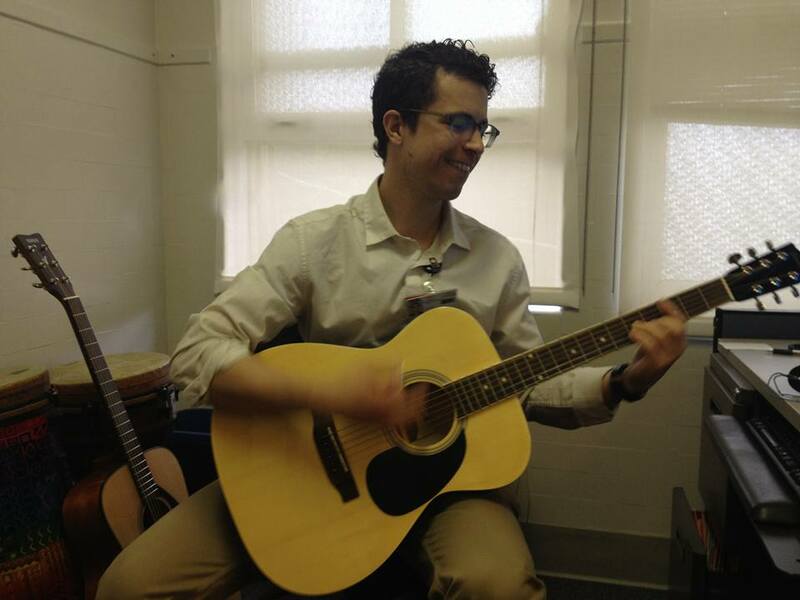 John Mulcahy , music therapist at Benioff Children's Hospital in Oakland, California, playing away on 1 of the 6 guitars we recently sent them. Sent another guitar to the ROC in Colorado Springs, Colorado. 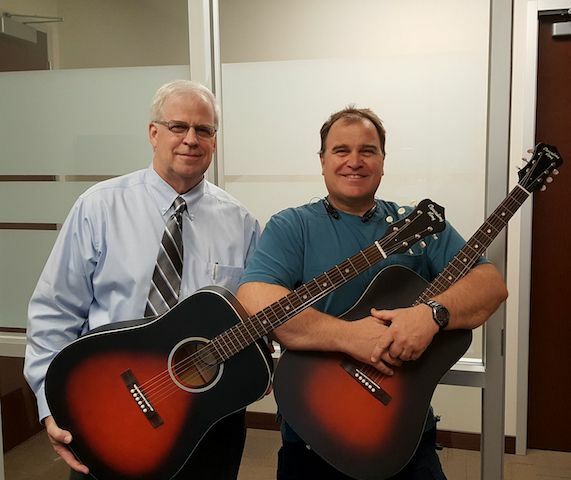 We sent 6 guitars to the Keeping the Blues Alive Foundation in Deerfield, Florida. Sad that so many schools are slashing their music programs for children! Just sent 6 guitars to Sutter's Children's Medical Center in Sacramento, California. Just sent 6 guitars to the Dominican Republic. Camilo Rijo Fulcar gives free music lessons to children in a poverty stricken area that is not conducive to having a normal childhood. Thanks to Marleen Rodriguez-Wolfe for coordinating all the shipping arrangements and for covering the cost of shipping the instruments from Florida to the Dominican Republic. Just sent 6 guitars to the Helen DeVos Children's Hospital in Grand Rapids, Michigan. Bridget Sova runs a great music therapy program! Just sent 6 guitars to Nationwide Children's Hospital in Columbus, Ohio. Jennifer Yurkovich and her team of music therapist are doing great work with the children. Just sent 6 guitars to Peyton Manning Children's Hospital in Indianapolis, Indiana. Jenny Kaufman runs a great music therapy program for the hospital. Kristi Grimes does a great job with the music class at Johnston McQueen Elementary School in Longview, Texas. We gave her 2 more guitars and 4 more Snark tuners. We sent 4 guitars to the Realm of Caring in Colorado Springs, Colorado. Just sent 3 guitars to Miami Children's Health Foundation . Another great music therapy program that we're proud to support! 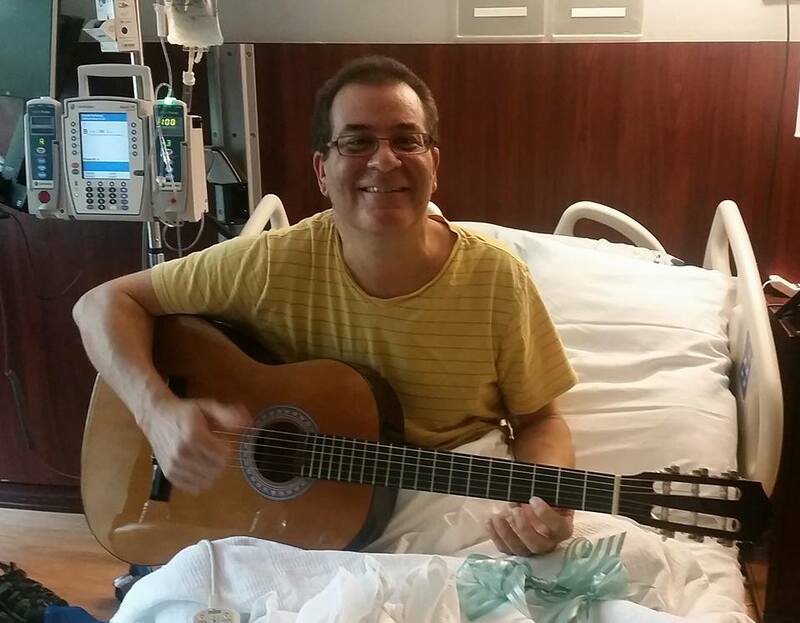 One of our friends at the Chinn Guitar Project is also a patient at Sylvester Cancer Center. We recently sent them 6 guitars. It's a great organization with a fantastic music therapy program. We just sent 6 guitars to Children's Memorial Hermann Hospital in Houston, Texas. Jennifer Townsend and her team are incredibly talented musical therapist! Just sent 6 guitars to Trish Jonason at Mass Memorial Hospital in Worcester,Massachusetts . Another great music therapy program! 4 new Snark tuners for the guitar class at St Mary's Catholic School in Longview, Texas. Just sent 6 guitars to Atlantic Health System in Morristown, New Jersey. Dan Marain runs a great music therapy program. Just sent 6 guitars to Optimist Youth Homes and Family Services in Los Angeles, California. Just shipped 4 classical guitars to Miller's Children's and Women's Hospital in Long Beach, California. Kathleen Humphries and her staff are achieving amazing results with music therapy. Just sent My Possibilities in Plano, Texas another 4 guitars. Esther Craven does a fantastic job with their music therapy program. Just sent 6 guitars to Banner University Medical Center- Diamond Children's Hospital in Tucson, Arizona. Sierra Norris and her staff of music therapists are awesome. Just sent 6 guitars to Riley Hospital for Children at Indiana University Health. Ann Hannan and her staff are achieving amazing results with music therapy. Just sent 6 guitars to Kaiser Hospital in Oakland, California. Jessica Claspill- Garcia and her staff do an incredible job. Just sent another 6 guitars to Memorial Sloan Kettering Cancer Center in New York. Karen Popkin and her team of music therapist are instrumental in helping patients recover and heal. Just sent another 6 guitars to the Louis Armstrong Center for Music and Medicine in New York. Joanne Loewy and her team of music therapist rock ! We just sent 6 guitars to Massachusetts General Cancer Center. Lorrie Kubicek and her team do an incredible job with the patients ! We just sent the University of Minnesota Masonic Children's Hospital 6 guitars for their awesome music therapy program. We just sent the Shriners Hospital for Children in Boston, Massachusetts 6 guitars. Annette Whitehead-Pleaux and her staff are awesome musical therapist. 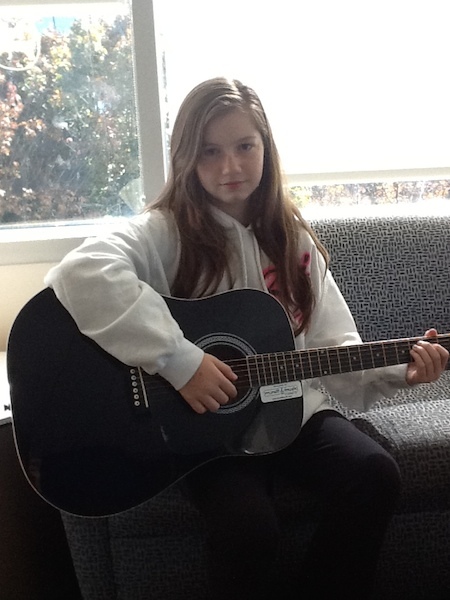 We just sent Elliot Hospital in Manchester, New Hampshire 6 guitars for their music therapy program. Lacy Jane Cremmen and her staff are achieving amazing results with the children. We just sent 6 guitars to the Children's Hospital's and Clinic's of Minnesota. Erinn Frees and her staff of music therapists are blessing many lives. We just sent 6 guitars to The Children's Institute of Pittsburgh, Pennsylvania. Haley Welsh and her staff are awesome musical therapist. Just sent 6 guitars to Texas Children's Hospital in Houston, Texas. Amy Smith and her staff of music therapists are making a big difference in the healing process. Just sent 6 guitars to Holtz Children's Hospital in Miami, Florida. Stephanie Epstein and her staff do a great job using music therapy at the hospital. Just sent 6 guitars to the Sylvester Comprehensive Cancer Center in Miami, Florida. Marleen Rodriguez-Wolfe and her team are incredible . Just sent 6 guitars to the Chris Evert Children's Hospital in Ft. Lauderdale, Florida. Laura Cornelius and her staff are awesome working with the patients. Just sent another 6 guitars to the Louis Armstrong Center for Music and Medicine in New York. Joanne Loewy and her team are pushing the boundaries with music therapy. Just sent 6 classical guitars to Memorial Sloan-Keetering Cancer Center in New York. Karen Popkin and her team are helping lots of hurting kids. 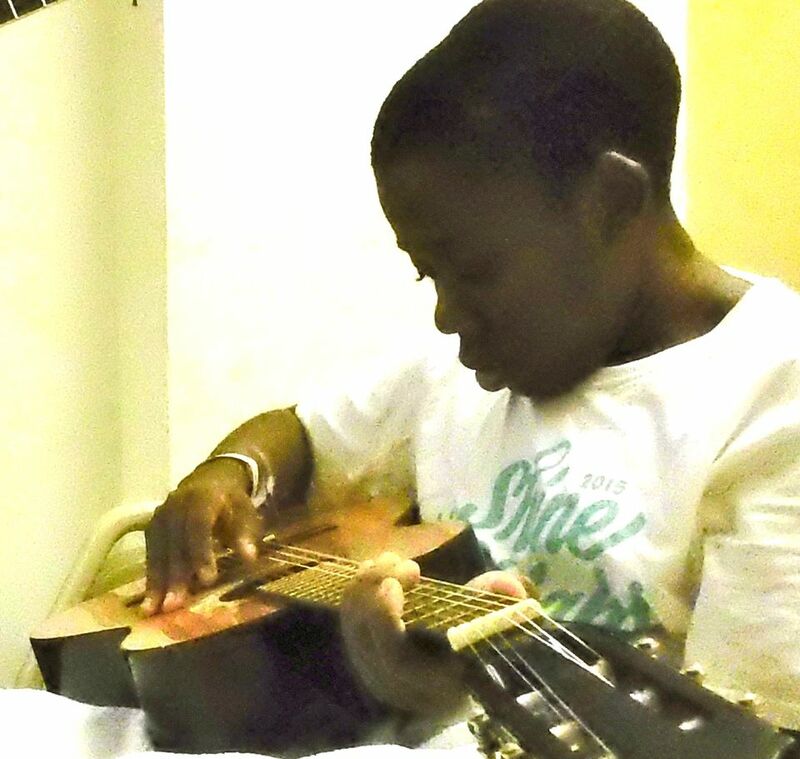 Nylon strings are easier on the fingers when undergoing chemotherapy ! Sending 6 electric guitars with amps and Kyser capos to Angola Prison in Louisiana with the Perkins Ministry. 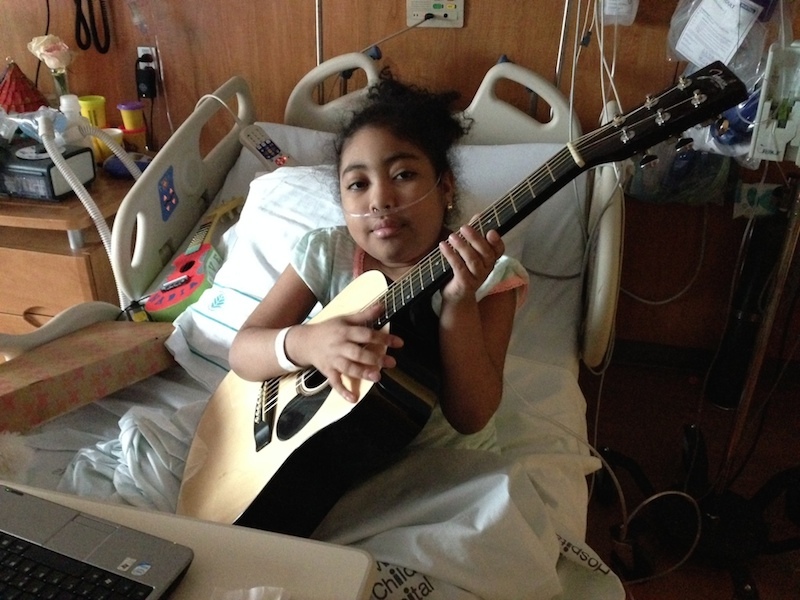 We just sent 6 guitars to Benioff Children's Hospital in Oakland, California. 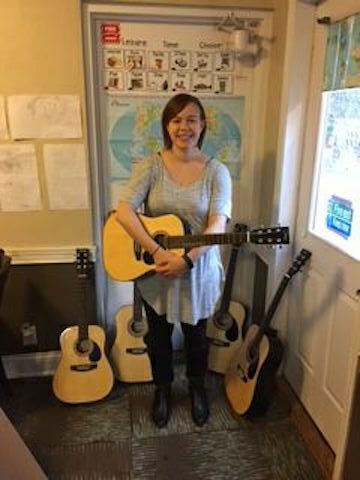 Maya Charlton and her staff are changing lives through music therapy. Gave 3 electric guitars and amps to My Possibilities in Dallas, Texas. They do an incredible job with those who have various challenges in life . Incredible music therapy program under the direction of Esther Craven. We also gave them a box of capos courtesy of Kyser. Just sent another 6 guitars to the Vera Lloyd Presbyterian Children's Homes in Monticello, Arkansas. They are helping lots of kids with the free guitar lessons they provide. Just sent Joe Bonamassa Keeping the Blues Alive Foundation another 6 guitars for a project they're working on. Just gave Tommy Harden another 6 guitars. 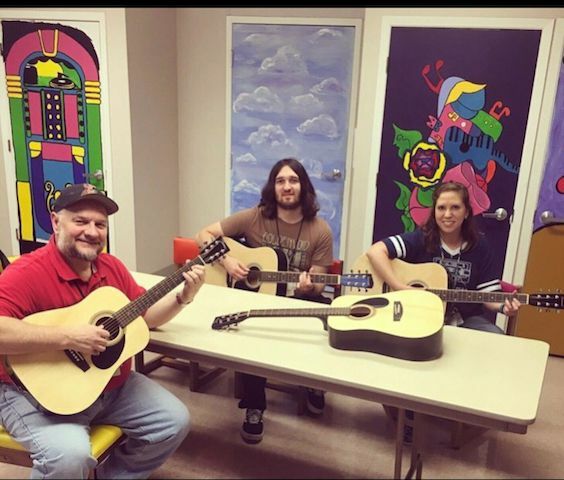 Tommy provides free guitar lessons to foster care children at his church in Arp ,Texas. Music is very healing to the kids who have seen some hard times. Just sent Joe Bonamassa Keeping the Blues Alive Foundation 12 classical guitars. They're doing a great job starting guitar classes in schools. Sending 2 more electric guitars to Sophie's Place. Michelle Knox and her team are changing lives through music therapy. Chinn Guitar Project We're going to be sending The Louis Armstrong Center for Music and Medicine 6 guitars today. They're pushing the boundaries in the field of music therapy. 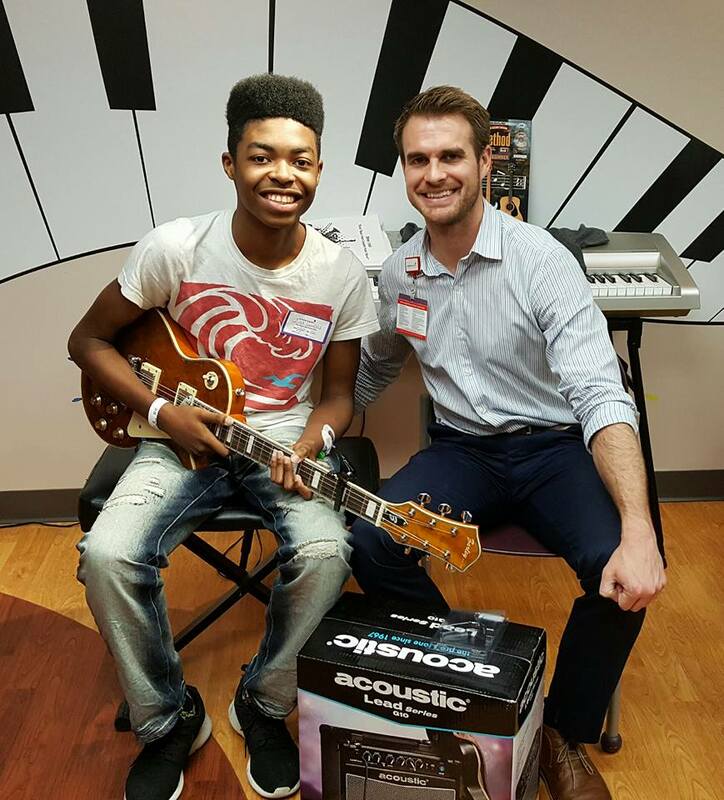 We sent another 6 guitars to Children's Healthcare of Atlanta, Georgia. 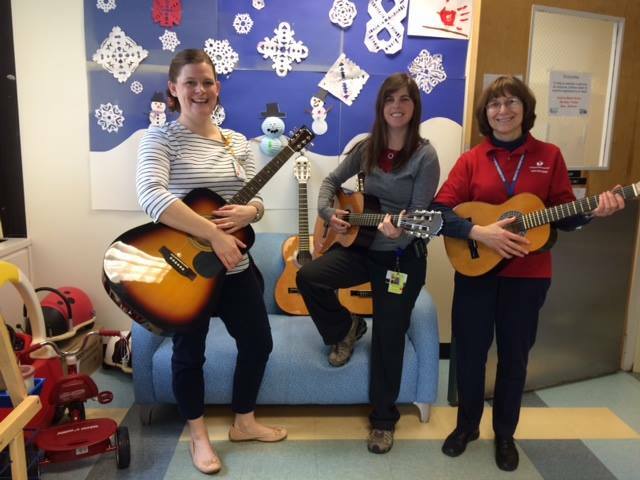 Beth Collier and her staff of music therapists are great working with the children of the hospital. Chinn Guitar Project donated 6 guitars to the Vera Lloyd Presbyterian Children's Homes in Monticello,Arkansas. 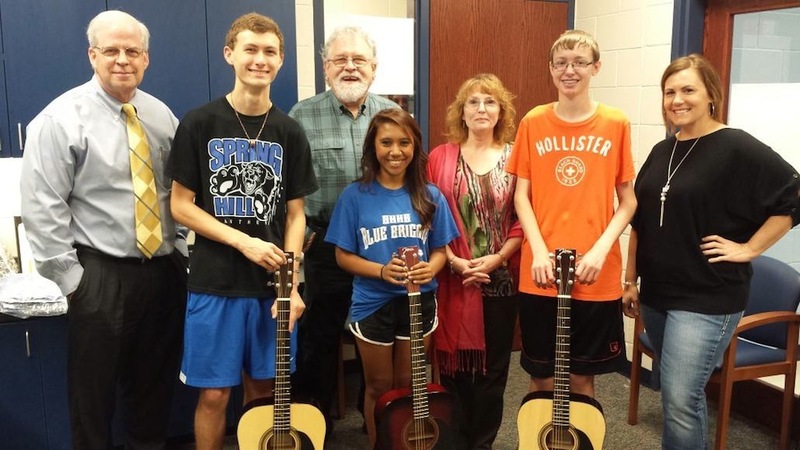 The Chinn Guitar donated 16 Guitars to Kilgore High School for their Life Skills students. 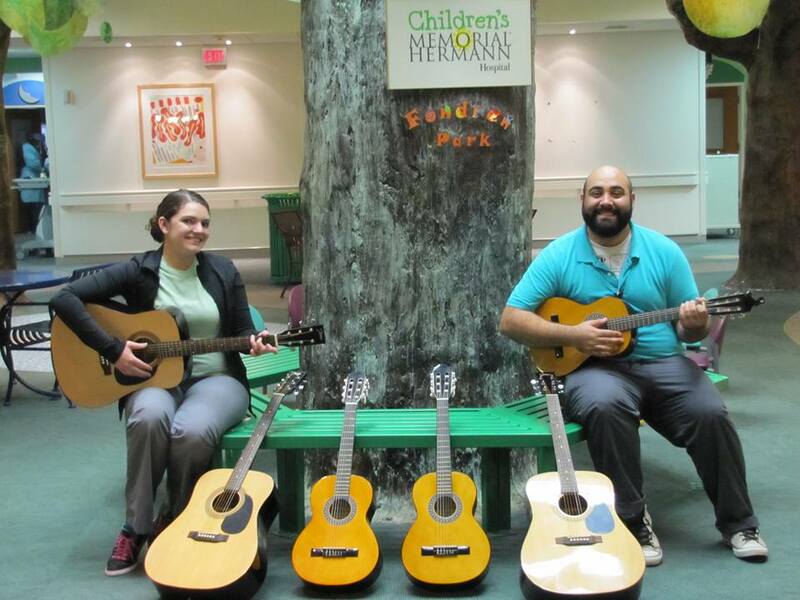 Chinn Guitar Project donated 6 guitars to Sophie's Place at Children's Primary Hospital in Salt Lake City, Utah. 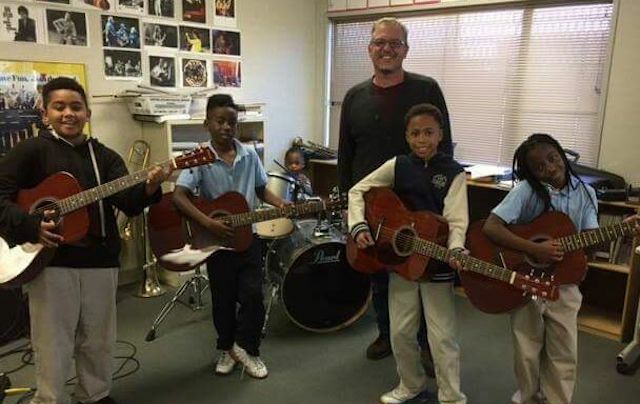 Happy Hills started a guitar class last year after a guitar donation. 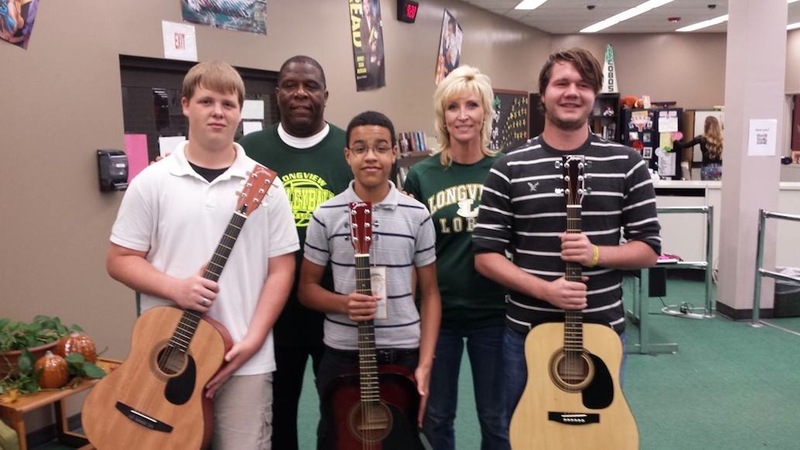 This year Chinn Guitar was happy to donate five more guitars because of the class growth. 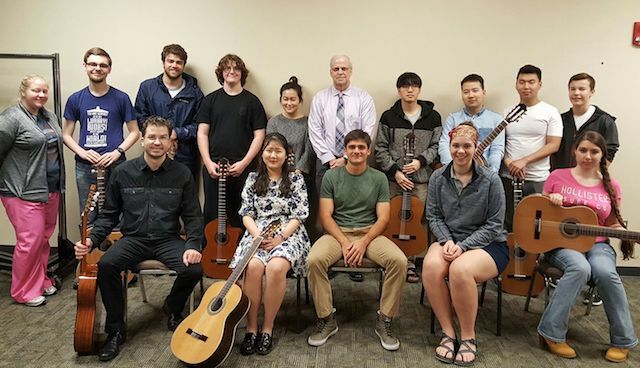 Award-winning guitarist and Eastern Hills High School alumn Donnie Pendleton was on campus to present, along with Chinn Guitar Project, 13 donated guitars and tuners worth an estimated $4,000 for a new classical guitar program at his alma mater. 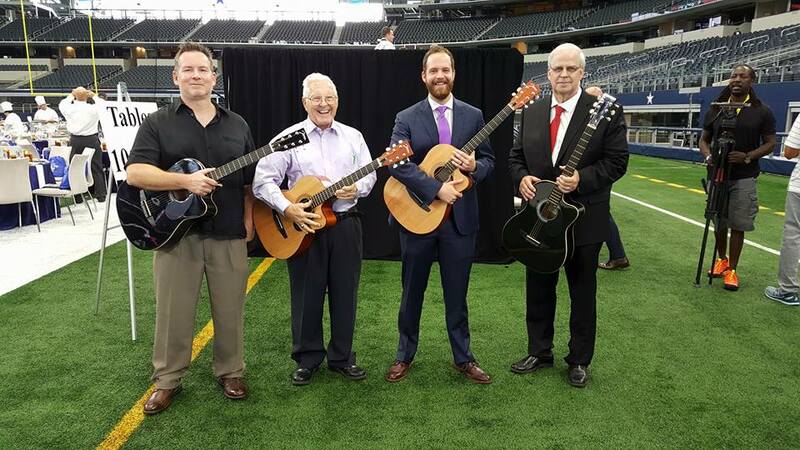 The Chinn Guitar donated 10 guitars to the world renowned Cleveland Clinic. 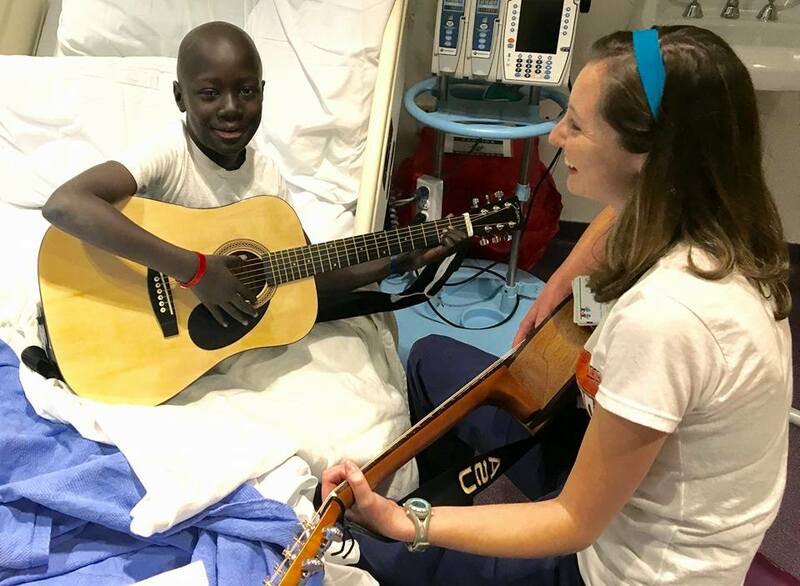 The music therapist are now able to share guitars with patients during their extended stays. CGP made a donation Power and Warner upper elementary schools’ general music programs. Now they each have 18 of the six-stringed instruments and electronic tuners, all brand new and ready for fifth and sixth graders. 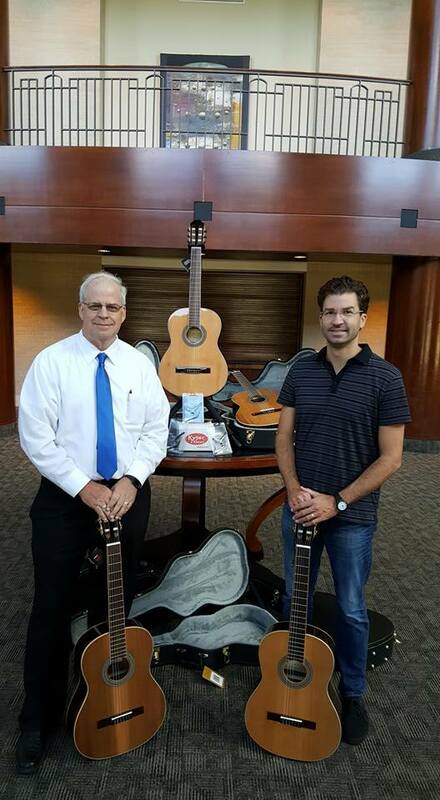 CGP made a donation of eight guitars to Mercy Children's Hospital in St. Louis, MO. 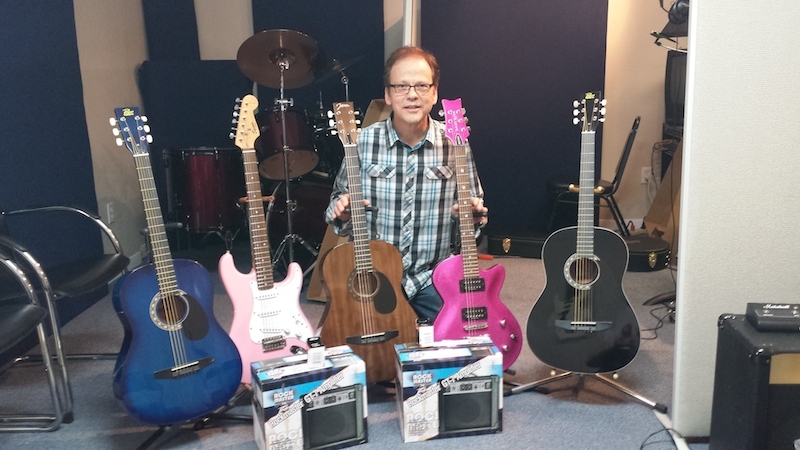 CGP donated 5 guitars , 2 amplifiers, some tuners to Downpour Worship Project. Paul Donaldson is teaching lessons to young people to try and influence them for Jesus. Sent another six guitars to Children's Healthcare of Atlanta, Georgia. 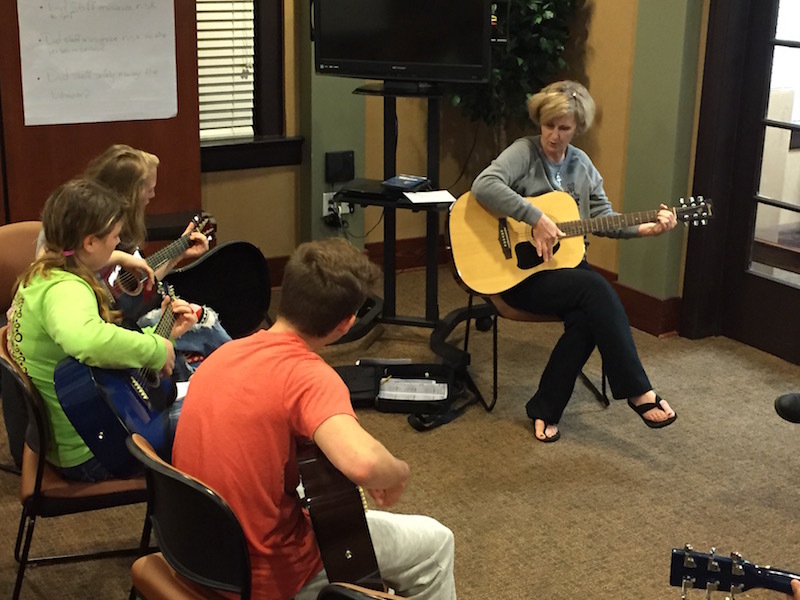 Our friend Beth Collier is leading an awesome team in the music therapy department. 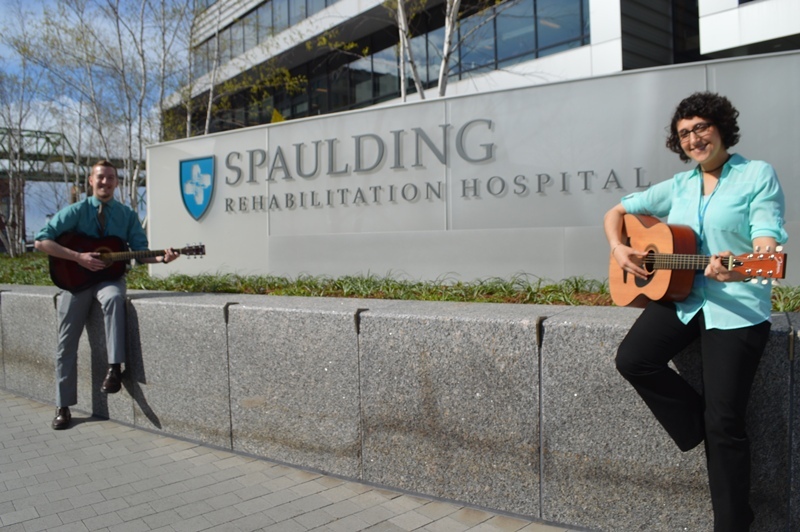 Sent four guitars to Spaulding Rehabilitation Hospital. Brian Harris is doing a great job with the program. Sent six guitars to Children's Presbyterian Hospital Music Therapy Program. Sent five guitars to Seattle Childrens Hospital Music Therapy Program. David Knott is doing a great job with the patients. Donated twelve guitars to Children's hospital of Philadelphia CHOP. Six went to the music therapy department and six went to the Seacrest studio. 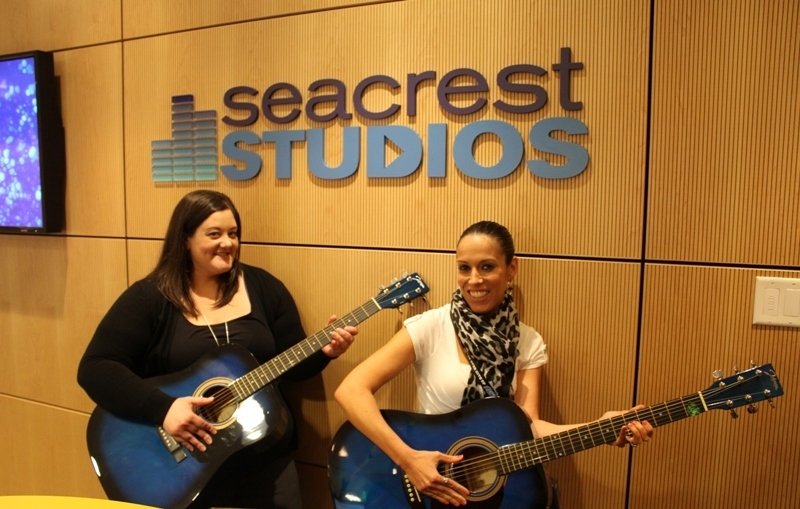 Donated 6 guitars to the Cincinnati Childrens Hospital music therapy program and the Seacrest Studio. 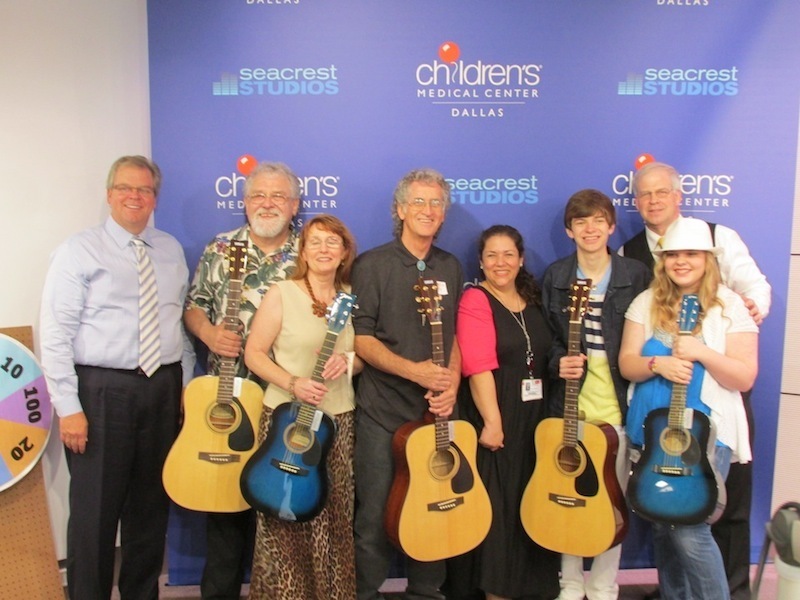 Donated 6 guitars to the Seacrest Studio and music therapist at Children's Hospital of Orange County, California. Donated 8 guitars to Levine Children's Hospital Charlotte, NC Music Therapy Program and 4 guitars to the Seacrest Studio inside the hospital. Donated another 3 guitars to the guitar program because the class is growing. 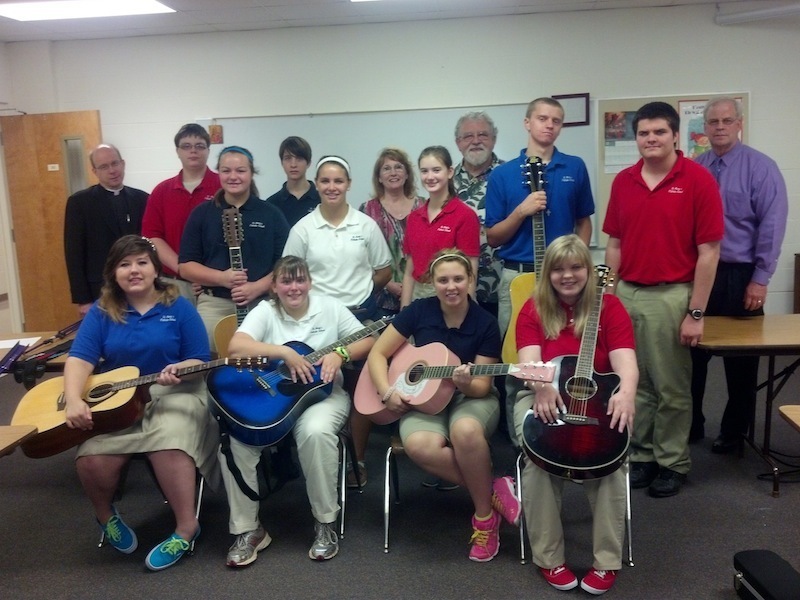 Chinn Guitar Project donated 10 guitars to start a guitar class for the school. Johnston McQueen School. 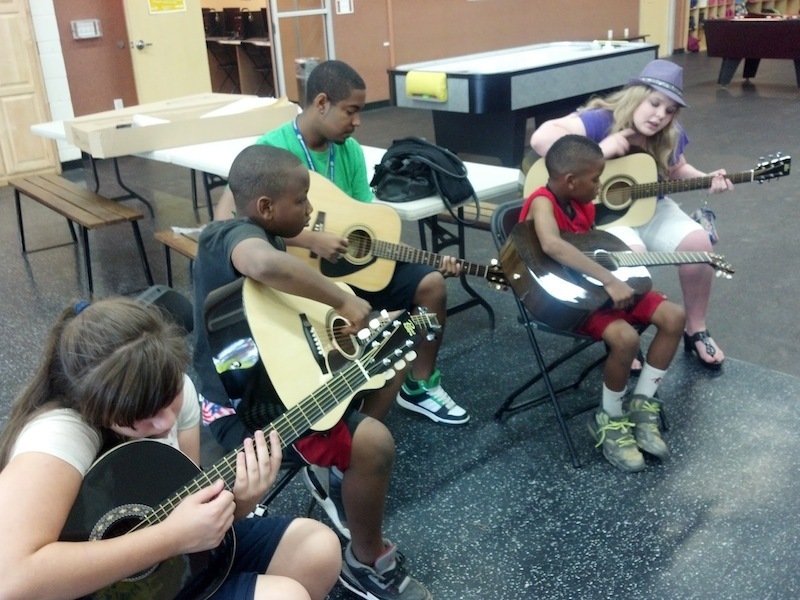 We donated 5 guitars in September and just went back to give them 3 more to accommodate the growth of the program. We donated 2 guitars to them this morning. 1 acoustic and 1 electric with an amp. 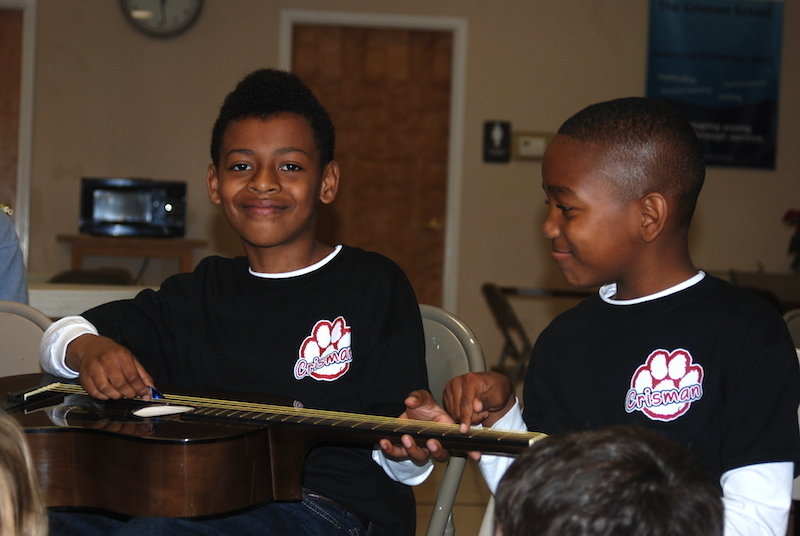 We originally started the program with a donation of 7 guitars. They're guitar class is growing. Helping me with the presentations was Richard Bowden. Helping me with the presentations were Richard and Holly Bowden and Gina Mundt. Helping with the presentations were Richard and Holly Bowden and Gina Mundt. We made our second donation to the Seacrest Studio/ Children's Medical Center. We donated another 10 guitars with all the accessories. 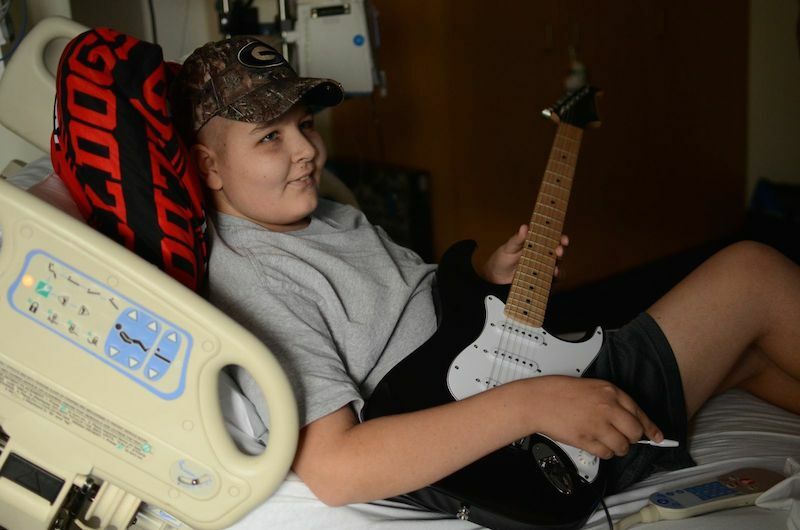 2 of the patients at Children's received a free guitar, tuner, strap, and guitar pics. 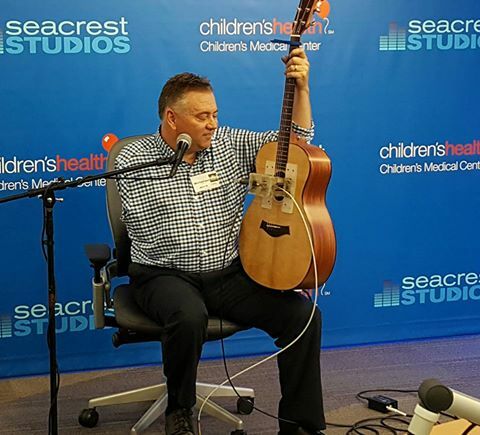 Ken Chinn and Tara Chinn were interviewed by the Seacrest studio about the developing status of the Chinn Guitar Project and their future plans to make donations to all the Seacrest Studio's across the nation. Richard Bowden provided the music entertainment for the event. 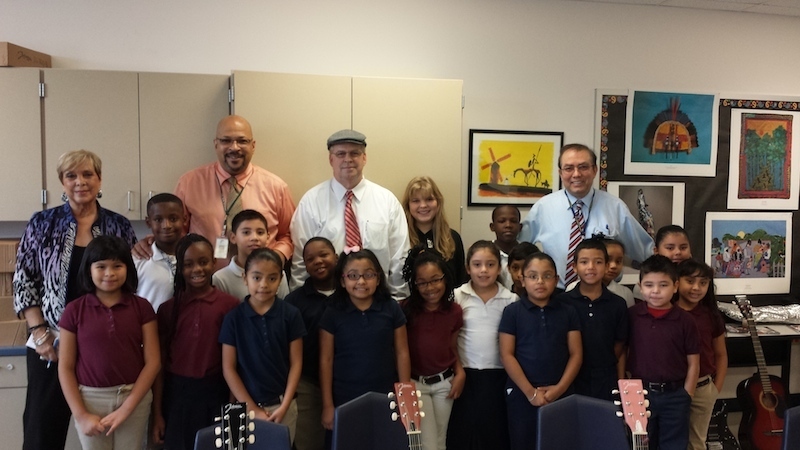 We presented 5 guitars , tuners and books to Happy Hills Academy. 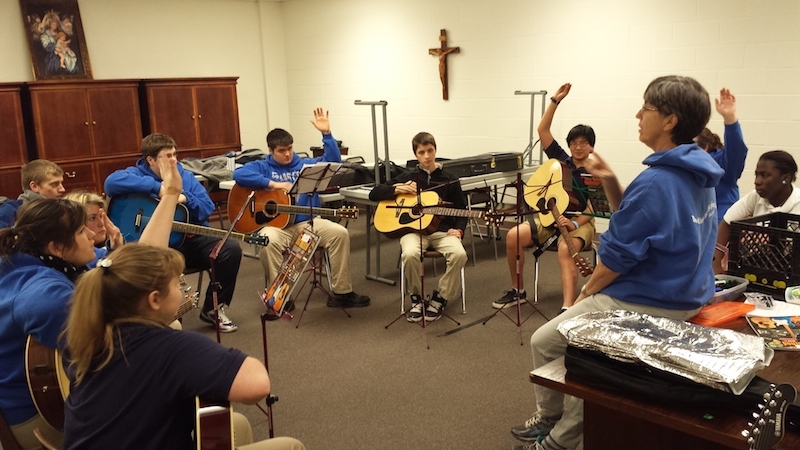 They are now able to offer guitar as an elective st the school. We gave 7 guitars , tuners, books, dvd's , straps and pic's to St. Mary's Catholic School in Longview Texas. They are now offering guitar as an elective at the school. 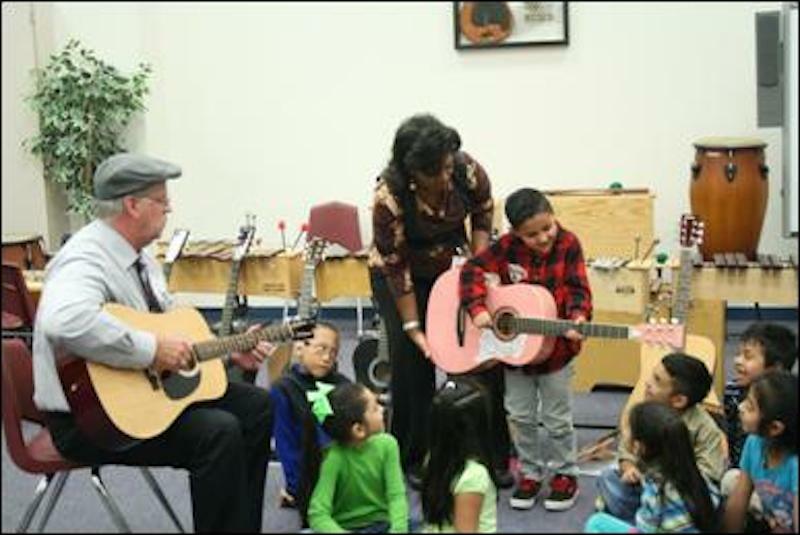 We presented 10 guitars to United Way Boys and Girls Club in Longview and they are now giving free guitar lessons to the kids. 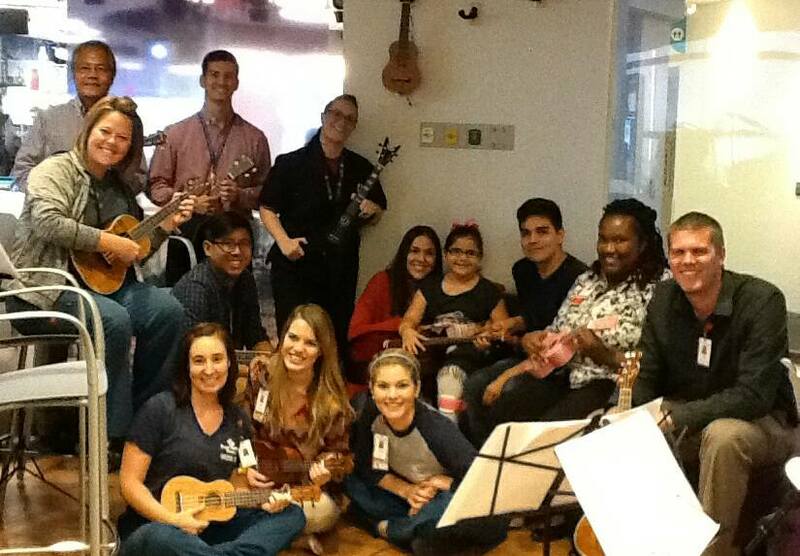 We presented 11 guitars to the Music Therapy Program and handed out 40 gift bags to patients. 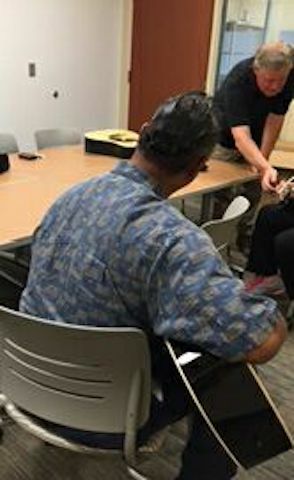 We gave away 3 of the guitars to patients who are wanting to learn to play the guitar. Matthew Davidson provided the music performance.